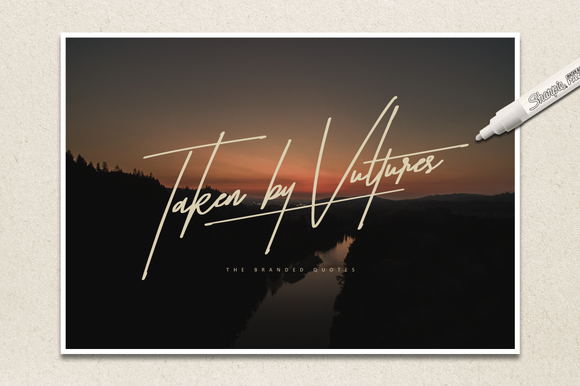 Taken by Vultures is a hand-lettered typeface created by The Branded Quotes which was inspired by ’80s American photography and branding styles. With a wide range of OpenType features, Taken by Vultures can be use on display, signature, packaging etc. Do you really want to be ‘Taken by Vultures’? A font description published on Monday, September 12th, 2016 in Fonts, The Branded Quotes by Alexandra that has 2,912 views.